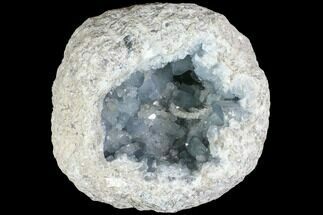 We carry a fine selection of beautiful, blue Celestite geodes mined in Madagascar. 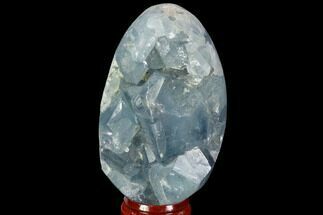 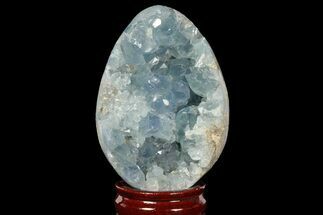 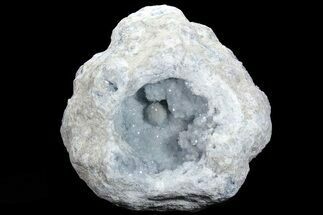 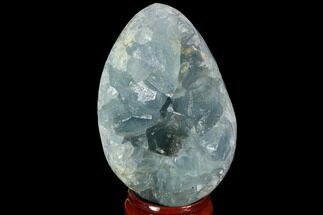 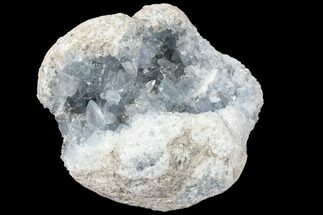 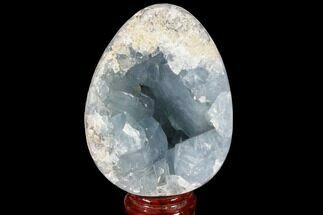 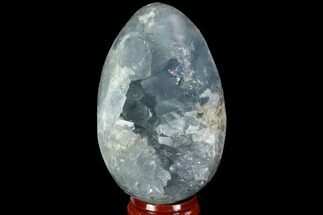 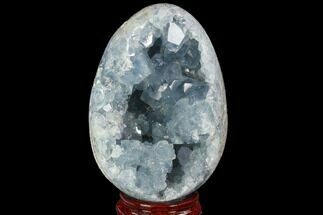 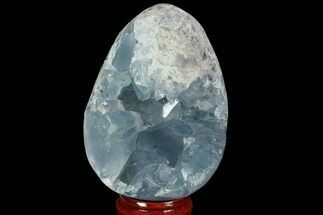 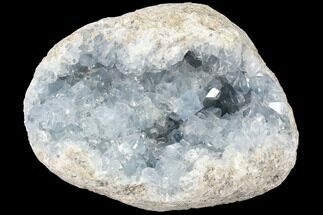 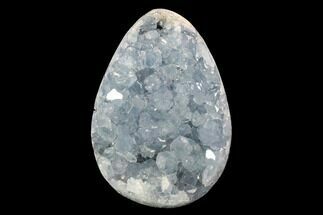 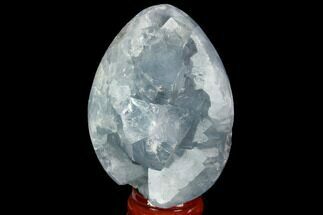 Celestite, also known as Celestine is a delicate, sky blue mineral consisting of strontium sulfate (SrSO4). 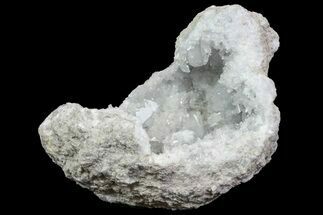 It tends to form attractive, well-shaped crystals. 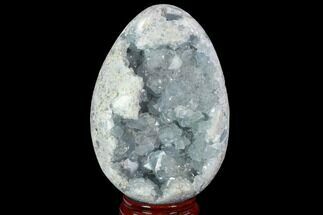 The name stems from the Latin word Caelertis, meaning "of the sky".